There are few forms of decline more painful to observe than the death of a language. When a once-healthy language withers and dies, it’s an unmitigated loss, not only for those whose ancestors spoke it, but for the entire human race. So even if the demands of those who oppose the Government of Nunavut’s Bill 37 are often silly, naïve, and incoherent to the point of being self-refuting, it’s clear they flow from an urgent desire to avert a perceived disaster. Good intentions, however, don’t compensate for sloppy thinking. 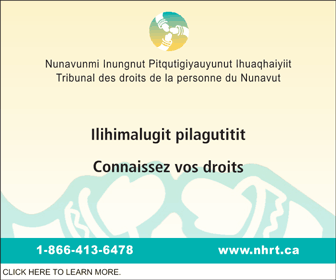 The use of the Inuit language in Nunavut really is declining. You can’t dispute the accuracy of the Statistics Canada numbers that language researcher Ian Martin cited this past March in a widely-circulated polemic timed to coincide with the tabling earlier this year of Bill 37. Between 1996 and 2011, the use of Inuktut within Inuit homes in Nunavut dropped from 76 per cent to 61 per cent. Over the same period, the proportion of Inuit homes where English is most often spoken increased to 46 per cent by 2011. It’s no wonder so many young Inuit now speak English with a modified Valley Girl accent, almost indistinguishable from their peers in Toronto, Edmonton, Seattle or southern California. Standard North American English is becoming their mother tongue. So if it’s the case that the people of Nunavut now find themselves in the midst of a linguistic crisis, shouldn’t the GN receive whatever legislative authority it needs to act decisively? “Currently schools do not have the direction they need to effectively implement the bilingual education models,” Education Minister Paul Quassa said this past June 7, in a defence of Bill 37. He said the bill, among many other things, would give the GN the power to ensure all Nunavut schools operate consistently, teach a standardized version of the Inuit language and ensure all Nunavut pupils get quality schooling no matter where they live. Well, Nunavut Tunngavik Inc. and its three regional subsidiaries, along with other stakeholders, say no. In a written submission to the MLAs on the legislative assembly’s legislation committee who pretended to study Bill 37 earlier this year, NTI actually said the Department of Education should get weaker, not stronger. And they would do that by having the GN continue to surrender its authority to district education authorities, or DEAs. “NTI does not support DEAs losing authority over areas including school and education programs, choice of LOI models, inclusive education oversight and reviews, authority to ensure annual assessments of individual education plans…,” NTI said. They base this position on a false premise: that by surrendering its authority to DEAs, the GN would carry out the Truth and Reconciliation Commission’s call to action number 10, which deals with Indigenous education. But DEAs are not Indigenous bodies. They’re public government bodies. And some DEAs are dominated almost entirely by non-Inuit. For example, the GN’s most current membership list for the Iqaluit District Education Authority shows that as of April 2017, six of Iqaluit DEA’s seven members are non-Inuit. We rather doubt this is what the TRC had in mind. Also, call to action number 10 is not aimed at territorial governments anyway. The TRC aimed it specifically at the federal government, asking Ottawa to draft new Aboriginal language education for First Nations people. It’s intellectually dishonest of NTI to suggest otherwise. This is just one small example, and there are others, that illustrate the well-intentioned nonsense found in many of the written submissions that the Nunavut legislative assembly’s standing committee on legislation received earlier this year. At the same time, many other critics raise objections that have more to do with GN fiscal policy than with Bill 37. For example, NTI and others want the GN to develop an Inuit Employment Plan for the Department of Education and then spend loads of big bucks to carry it out. Their wish is to have the GN train about 300 more Inuit teachers and hundreds of “language specialists.” In theory, they claim this would make it possible for most of the Nunavut education program to be taught in the Inuit language from kindergarten to Grade 12 sometime soon. In spite of its utopian assumptions, there’s some merit to this position. But an IEP is just a big bureaucratic document. You can’t nail an IEP to the front of a classroom and order it to teach a Grade 11 social studies class in the Inuit language. You need a qualified human being to do that. 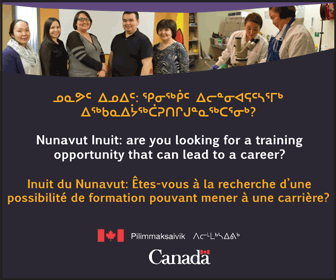 Nunavut must find hundreds of recruits willing to study—for years—to acquire university degrees and teaching certificates. But existing qualified Inuit teachers are either retiring or fleeing in droves to take less demanding jobs. So even if the GN were to risk spending of millions of dollars more each year on new teacher education programs, there’s no guarantee the recruits would ever materialize, and no guarantee they would remain within the teaching profession..
As to where the loads of big bucks would come from, NTI is mostly silent about the $175 million training fund that its Makigiaqta Inuit Training Corp. has been sitting on since 2015. They do call for the spending of a separate $50 million fund that Ottawa controls. But that money appears to be aimed at increasing Inuit employment at the Government of Canada, as well as the GN. At the same time, the GN will have less money to work with after this fiscal year. Thanks to new policies from Justin Trudeau’s Liberal government, the territorial Financing Formula and the Canada Health Transfer will now grow by only three per cent a year. So to find the money to pay for more teacher education, what essential social programs does NTI propose robbing? All these, and other public issues ought to receive some semblance of public debate. Unfortunately, the MLAs who sit on the standing committee on legislation, all of whom now rake in pay packages in excess of $100,000 a year, have been apparently too lazy to study the issue and too cowardly to talk about it in public. After hiding behind closed doors for a week this past May, they pumped out a two-paragraph press release and fled from the issue as fast as possible.